1. “Under the Skin”/”The Lego Movie” double feature (6 p.m., Friday and Saturday, Union South Marquee Theatre, 1308 W. Dayton St.) — Oh, those crazy college kids. The UW Union South Marquee Theatre’s fall season starts this weekend, and the student programmers in charge clearly have a gleefully perverse sense of humor in their pairings. 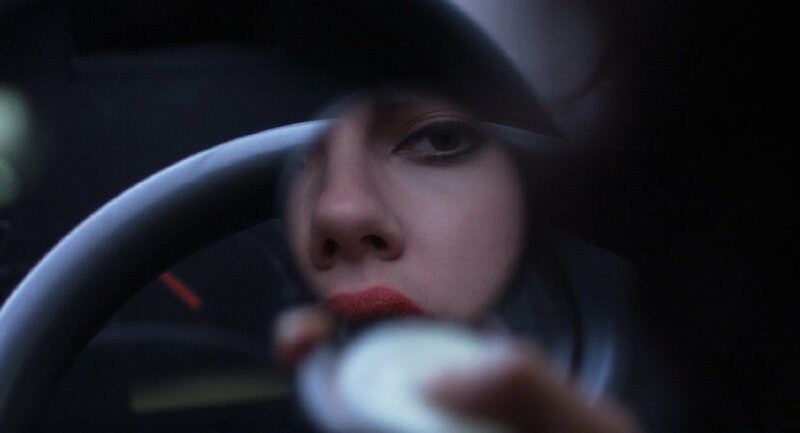 First on Friday, catch “Under the Skin,” Jonathan Glazer’s disturbing R-rated sci-fi film starring Scarlett Johansson as an alien hunting horny Scotsmen. Then stick around for the hilarious and inventive “The Lego Movie” starring everybody’s favorite plastic blocks. On Saturday night, the order is reversed. Both films are strong Top 10 of the year contenders for me — I just never thought to pair them together like that. FREE! 2. “Night Moves” (7 p.m, Friday, UW-Cinematheque, 4070 Vilas Hall, 821 University Ave.) — In a thriller that for longtime Madisonians may raise eerie connections to the Sterling Hall bombing during the 1960s, Kelly Reichardt’s latest film follows three environmental activists (Jesse Eisenberg, Peter Sarsgaard and Dakota Fanning) who plan to blow up a hydroelectric dam in Oregon. The film marries Reichardt’s usual keen sense of character and place with a suspenseful backbone, as we wonder if this trio will succeed in their plans, if they’ll get away with it, and if we want them to. FREE! 3. “Wizard of Oz 75th Anniversary” (all week, Point and Eastgate) — It’s a slow time for Hollywood movies right now, which is why “Ghostbusters” and “Forrest Gump” have been trotted out back into theaters. But the real find is the chance to see the 1939 film classic on the big screen again, maybe with your kids for the first time. We’ll see if the flying monkeys scare them as much as they did us. 4. “The Lavender Hill Mob,” (7 p.m, Friday, Vilas Hall) — A centennial retrospective of actor Alec Guinness kicks off with one of his best-known films, a 1950 Ealing Studios caper in which he plays a mild-mannered bank employee with a brilliant plan to steal a shipment of bullion. Stick around for another Guinness film, “Last Holiday,” at 8:30 p.m., which, rather incredibly, was remade into a 2006 film with Queen Latifah in the Guinness role. FREE! 5. “Fort McCoy” (all week, Point) — With the film tax incentives long gone in Wisconsin, it’s been a while since a Wisconsin-made indie drama has gotten anything close to a wide release. The World War II drama “Fort McCoy,” set and filmed in LaCrosse, is playing around the state, telling the true story of a farm family who must contend with the German POWs held near their homestead.